Concrete should be hard, but choosing a supplier of concrete, gravel and sand should be easy! Bolivar Ready Mix and Materials, Inc. is your right choice for concrete, gravel and sand, as well as concrete tools and accessories. 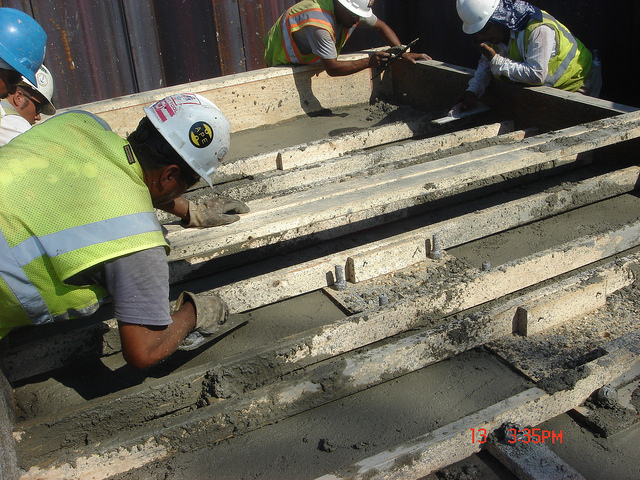 We offer both commercial and residential service for ready-mix concrete. In addition, we now carry a selection of concrete tools and accessories! We’ve offered QUALITY concrete at fair prices since we started our family-owned business in 1987! Today, three generations of our family have offered professional, friendly service to the Bolivar, Missouri and surrounding areas. We believe in community, and doing what’s right. We are proud supporters of our area schools and churches. We’ve been a member of the Missouri Concrete Association for nearly 25 years, and we’re a member of the Bolivar Area Chamber of Commerce. We are also MODoT approved. Need a Contractor? We have the best in the business working with us every day. Whether your job is big or small, we want to earn your business with quality concrete and professional, ON-TIME delivery. If you have any questions, please do not hesitate to contact us. We will do our best to answer all of your questions and provide references and suggestions if needed. We are more than willing to furnish quotes on any of your future projects.